We are excited to announce the opening of The Bernard Pechter Kosher Food Pantry in response to the economic need of Merrick area residents who are struggling and need assistance providing food for themselves and their families. 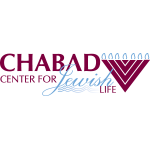 It is here that individuals or families in need can discreetly and confidentially find desperately needed resources to sustain themselves and their families, by scheduling an appointment to visit the Chabad Center for Jewish Life. Those who wish to take part in the food bank should click here to register, and they will then receive more information in an email on how to access the pantry. The system is set up in a way so that each client is treated with the utmost dignity and confidentiality. 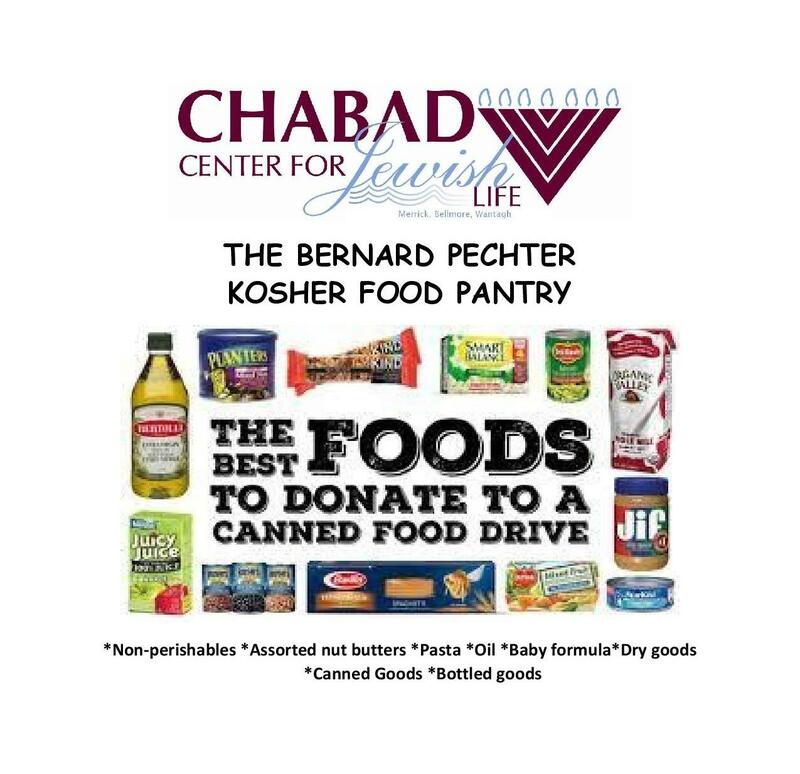 The Bernard Pechter Kosher Food Pantry’s mission is to eliminate hunger in the Merrick vicinity by providing locals in need with programs that provide kosher certified food, promote the value of nutrition, increase self-sufficiency, and instill hope for those who are struggling. Our sages tell us that “one who sustains even one life it is as if he has sustained an entire world”. It is our hope that together, we can assist and provide for the needy in a discreet, respectable, and dignified manner that is appropriate for the Merrick community. We provide this service with the hope, anticipation and prayer that there soon be a day where there will no longer be a need provide for the hungry. The food pantry is sponsored by Deborah Goldstein and Melissa Jaffe in loving memory of their father Bernard Pechter.